With the recent advances in Big Data storage and processing, there is a real potential of data-driven software systems, i.e., systems that employ analysis of large amounts of data to inform their runtime decisions. 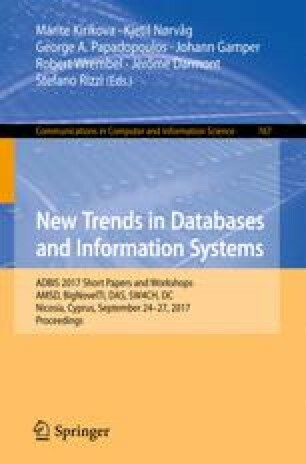 However, for these decisions to be trustworthy and dependable, one needs to deal with the well-known challenges on the data analysis domain: data scarcity, low-quality of data available for analysis, low veracity of data and subsequent analysis results, data privacy constraints that hinder the analysis. A promising solution is to introduce flexibility in the data analytics part of the system enabling optimization at runtime of the algorithms and data streams based on the combination of veracity, privacy and scarcity in order to preserve the target level of quality of the data-driven decisions. In this paper, we investigate this solution by providing an adaptive reference architecture and illustrate its applicability with an example from the traffic management domain.